This week is all about fierce cyber competition. NASA wins the Internet, UX is all about Japanese etiquette, Apple takes home a few revenue wins, emojis, well emojis, and twitter becomes a CFL battlefield. If this sounds up your alley, then sit back and we’ll give you the play-by-play of the top digital marketing news in this week’s edition of The Weekly Wins. 1. Hello NASA, here’s your Internet. How did a government entity, run by space nerds, quickly and very quietly win the Internet? If you’re not sure what we mean, you’re on the wrong line. NASA’s robotic New Horizons flyby Pluto event sent the web into frenzy. From Instagram wins of 100,000 likes in just a few minutes, hitting the front page of Reddit and our social feeds that kept dishing up Pluto content, NASA became the star of the web. But, how did they do it? Their strategy appears to be a sweet marriage of ‘blind luck’ and ‘shrewd management’. They do have the added benefit of having content that truly transcends demographics and platforms. But getting it out there wasn’t always easy. In 2008 Veronica McGregor, head of social media at NASA, took the lead on Twitter and made NASA human again. Let’s be honest the sky was never truly their limit. 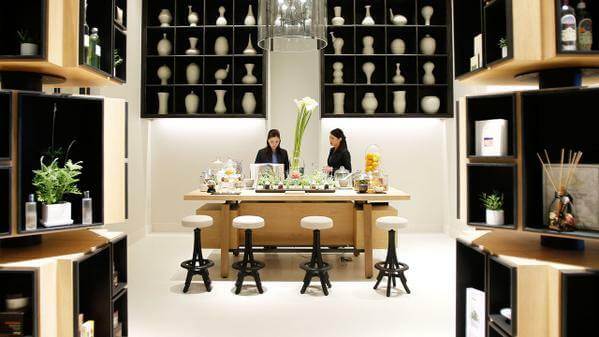 Do the secrets of great UX lie in Japanese etiquette? “I do not really want interfaces to know me too well.” – Kerstin Blanchy. It’s time to count Apples Siri. Apple have shared their 3rd quarter earning results for 2015, and it’s the first Q3 period that includes the initial Apple Watch. Apple have reported $49 billion and $10.7 billion in profit during the April to June period. They had iPhone sales of 47 million units, iPad sales of 10.9 million units and Mac sale of 4.7 million units. They have lumped the watch in with other services that have brought in $2.6 billion in revenue. Apple did have a big win, with iPhone revenue up 59% over last year, strong sales of Mac, and an all-time record revenue from services. After recent doubters showing a decrease in sales by 90% since launch, Tim Cook is hinting at success with the Apple Watch apparently having sold over 1.4 billion in revenue. He also hinted that the “Apple Watch sales were highest in its latest June quarter.” According to Venture Beat, the Apple Watch reportedly accounted for 75% of all smartwatch sales in its debut quarter. So good or bad, they now own that category. Okay so the world has gone a little emoji mad. Us too. Or at least our Creative Director Jackson Murphy, who pings emoji’s from the Toronto office to keep us motivated/entertained. With the official world emoji day being held on July 17th, #worldemojiday, and the news of the Sony Pictures Animation Emoji movie in the making, everything feels like it might be spiraling out of control. 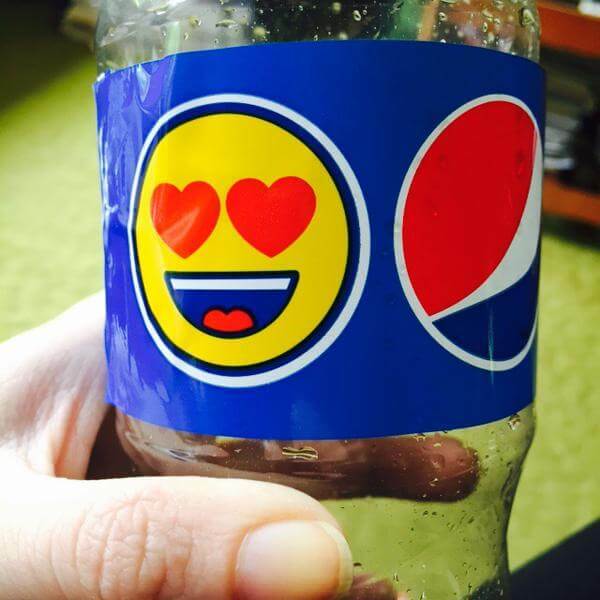 Not to mention Pepsi’s 35-character emoji keyboard. According to Brad Jakeman, the president of PepsiCo’s Global Beverages Group, “Pepsi is a brand that has stood next to major cultural moments all around the world; it’s a brand that always operates in the consumer zeitgeist.” And they didn’t hold back on world emoji day. But with all this crazy, it also looks like we’ve been misusing them! From sad to mad, the emoji world is full of miscommunication, which should make for some entertaining reflective time. But in all seriousness are we taking emojis too far? From the Chevy Emoji Academy to WWF’s cute Panda, we’re simply at a loss for words. ? This weeks CFL battle between the Toronto Argonauts and the BC Lions started on Twitter, with a fun, we hope harmless, tweet war. We happen to love their online banter, they also happen to be a client of ours, so admittingly we are a little biased. Insert shameless plug here: use their new Pick’Em, which adds you to a 12,000 people strong leaderboard! Plugs, bets and awesome entertainment aside, it’ll be interesting to watch the Twitter banter after the game on Friday, will the Toronto Argonauts leave deflated or will the BC Lions leave with their tails between their legs? In the footsteps of NASA, Apple and Emojis we hope your week was full of wins. And, what’s a battle without a victory dance? ?